Fuelex Energy is the exclusive wholesale branded distributor of Esso Fuels and Mobil Lubricants in Vancouver, British Columbia and throughout the Lower Mainland. You have worked hard to make your business successful. An important aspect of your success is the fuel and lubricant supplier that supports you. You need quality gasoline, diesel and lubricants… and the confidence that your supplier will be there when you need them. Fuelex Energy is that supplier. 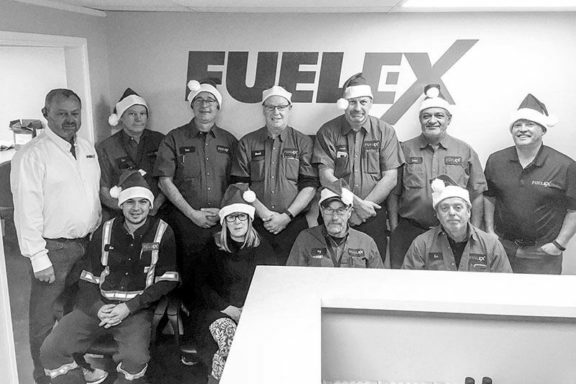 Fuelex Energy is committed to ensuring that the needs of our commercial customers in Greater Vancouver and the Lower Mainland are met with unwavering dedication. Our trusted team is committed to ensuring your bulk gasoline, diesel and lubricant needs are met with an unmatched level of professionalism, technical knowledge and customer service. Looking for expert advice for your commercial fuel or lubricant product and service needs? We are conveniently located in Burnaby, British Columbia just off the Lougheed Highway. We use and sell environmentally friendly products including Bio-Fuels, Bio-Degradable Lubricants, and the super-safe Vilco Furnace Oil tank. We use and sell technologically advanced products and services including continuing investment in new, fuel-efficient delivery trucks, Diesel Exhaust Fluid and high efficiency furnaces and hot water tanks. We actively encourage recycling activities in all of our operations and assist customers recycle used oil. We constantly plan and implement with a focus on reducing emissions, waste, and energy. We share what is working, seek understanding and are always looking for a better way. Extensive and ongoing training of all team members in appropriate and necessary safety procedures. As well, we endeavor to learn and share from “Root Cause Analysis” of incidents. Regular communication of safety issues, examples and incidents. Fuelex Energy is a proud supporter of the local communities we operate within. Our local involvement and support is an important part of what we do to enhance our communities. We are honoured to participate. The Fuelex Energy team has years of industry experience and know-how. We are fortunate to be small enough to really care about our customers and large enough to provide a full suite of products, services and programs that our customers require. We provide diesel, gasoline and lubricants to the forest, mining, transport and construction industries as well as other commercial enterprises across the Lower Mainland. Looking for expert advice for your fuel or lubricant products and service needs? Contact any member of our friendly and knowledgeable customer service team, and we will help. Fuelex is growing because we have a great team and we intend to keep growing in our current business segments and in new geographies and business lines. If you possess a strong, team-oriented work ethic with a huge desire to learn and grow then we are looking for you! © 2019 Fuelex Energy. All rights reserved.